Senior launches modeling career after moving from Venezuela. Senior Barbara Lamont models at John Casablancas. Bright lights. Enthusiastic faces. Adrenaline rushing through her veins. 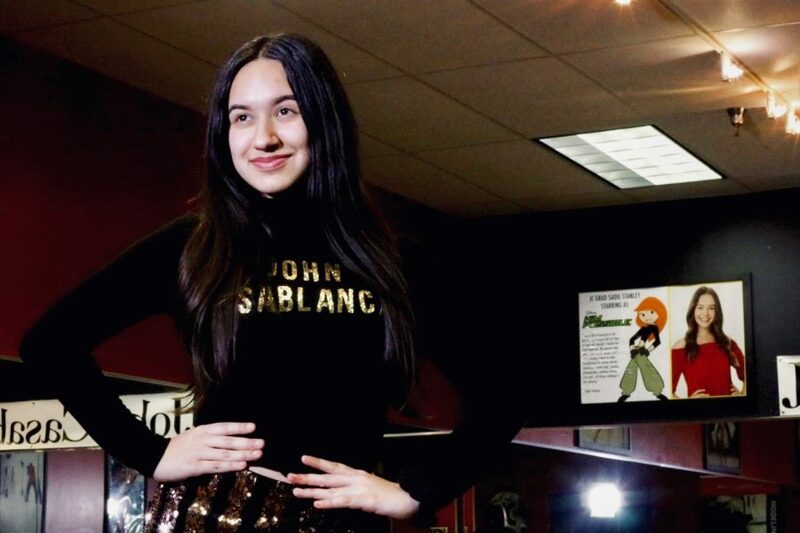 After moving from Venezuela in the fall of November 2017, senior Barbara Lamont, at 17, began her modeling career at John Casablancas. Lamont is expected to audition for a Paul Mitchell Hair Show and local promotional modeling for different companies in the future. After she finally settled, Lamont questioned what her next step in becoming a full-time model would be. Recruiter Xavier Christmon had successfully answered her unresolved questions. Lamont’s mother, Glenn Hernandez was always supportive of her daughter, whether it be the intolerant conditions of Venezuela, to the spotlight and scrutinizing eyes on Lamont. Lamont’s director, Greg Finenco, said he has seen her blossom with more confidence in front of the camera. Even after a hard transition, Lamont said she hopes to be a good example of hope and hard work. Throughout her modeling career, Lamont has struggled with adjusting to the American lifestyle, language barriers and stereotypical commentary made toward her modeling. After entering the modeling industry, she noticed the industry itself had improved. After adapting to the modeling industry, Lamont focused on what she wanted to accomplish next in her life: inspiring young Venezuelans to achieve their goals and ambitions, just like she did.